Here comes the teaser of the most awaited film – India’s Most Wanted featuring Arjun Kapoor. The makers after releasing the poster of the film were quick to release the teaser of the film, which is based on true events. The film happens to be a crime thriller and talks about the mission of catching the most dreaded and wanted terrorist who has been alleged to kill more than 800 people and injure around 433 people with 52 blasts in the country. 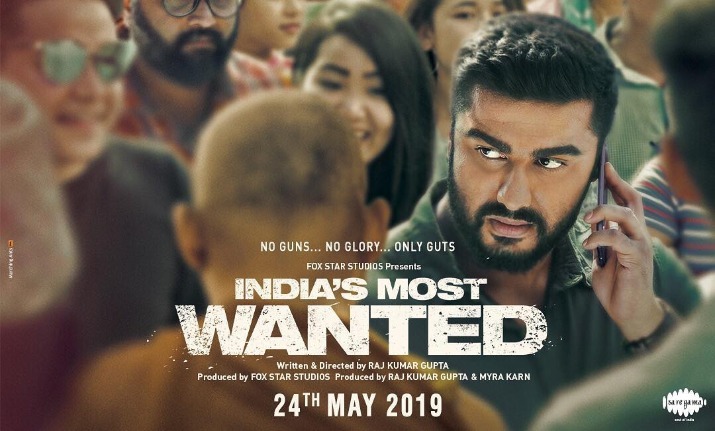 Arjun Kapoor as said is playing the IB officer called Prashant and takes up the challenge to catch the most wanted criminal called the Osama of India without seeking the help of any arms or support form any other team. He and his team take up this mission impossible to catch the dreaded criminal who is responsible for carrying out the bomb blasts in many cities in India including Mumbai, Delhi, and Bangalore. The No One Killed Jessica fame director Raj Kumar Gupta has directed this film.